Matt Renshaw became the fourth youngest batsman to score 150 while David Warner slammed 95-ball 113 as Australia went on to post 365 for three on day one of the third Test against Pakistan in Sydney. Australia won the toss and elected to bat first. Warner (113) gave a blistering start for Australia when he scored five boundaries in the first three overs. He was severe especially on Imran Khan (0-81) plundering him for three more fours in the sixth over. With a boundary in the ninth over, Warner brought the 50-run opening stand with Renshaw (167 not out) and soon completed his half-century in the 13th over. Warner showed no respite whatsoever for the Pakistan bowlers as the 100-run stand came in just 126 deliveries and he became the fifth Australian batsman to notch a Test century before lunch on the opening day. Australia ended the session at 126 for naught. The 151-run stand finally ended when Warner edged one to the keeper off Wahab Riaz (2-63). It was also Sarfraz Ahmed's 100th dismissal behind the stumps. 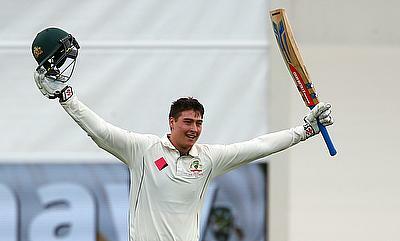 Renshaw stepped up the accelerator bit after Warner's dismissal and brought his second Test fifty in the 36th over. Usman Khawaja (13) had a reprieve when Babar Azam dropped him in the 39th over bowled by Imran Khan (0-81). However, just after Australia crossed the 200-run mark, Riaz got his second wicket when Khawaja nicked one to the keeper. Australia went into tea at 224 for two with Renshaw and Steven Smith (24) at crease. The fourth over of the final session saw Smith edge one to the keeper when he tried to cut a Yasir Shah (1-132) delivery but Renshaw went on to complete his maiden Test century in the 66th over. By the 70th over, Australia were 272 for three. The 71st over bowled by Imran saw Renshaw scoring two more boundaries and in the next 10 overs, he and Peter Handscomb (40 not out) scored 63 runs as Australia crossed the 300-run mark. 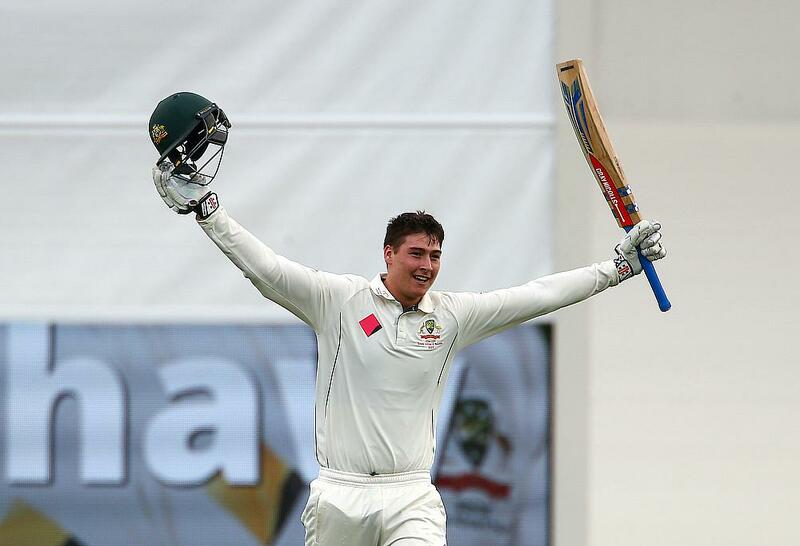 Renshaw soon crossed 150 runs after Pakistan took the second new ball and Australia ended the day strong at 365 for three.